Toy Soldier Productions spent the 2010/2011 winter exploring the Northwestern United States with some of the best up-and-coming talent in the ski & snowboard world. Each found themselves growing into their style, their terrain, and a mindset laid down with the snowfall. Though differing in their aims, they've found themselves on a similar path, brought together by the winter and her storms. 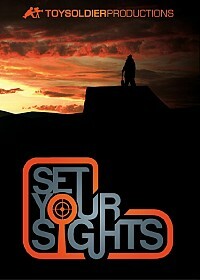 "Set Your Sights" chronicles this journey. While mostly shot in Montana, the crew also filmed in Utah, California, Washington, South Dakota, Alaska, Wyoming and Whistler, B.C.